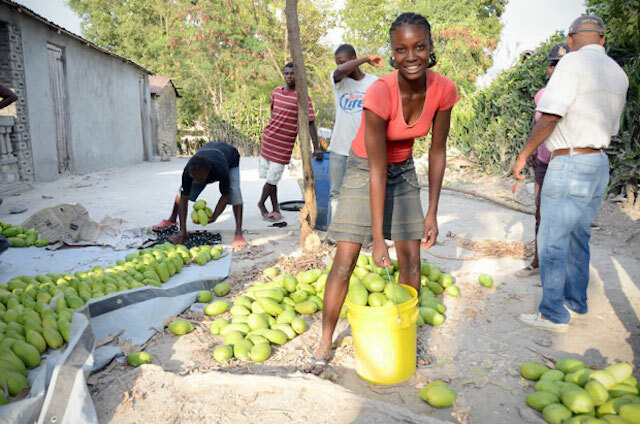 Mango incomes are helping rural families rebuild their livelihoods and Haiti’s economy. See how the Haiti Hope Project is creating sustainable economic opportunities for Haitian mango farmers. This post originally appeared on Business Fights Poverty. I arrived in Haiti one year after the devastating earthquake of Jan. 12, 2010. Life in Port-au-Prince was still chaotic, evidence of not only the natural disaster, but generations of economic distress. But I quickly discovered something else about Haiti – its proud, defiant people, refusing to give up. Throughout that first year, my Haitian colleagues would tell me about their experience of the earthquake – where they were, the search for family and friends, the people they lost. And yet they were still here, trying to rebuild their country. Behind each mango is a Haitian farmer, benefiting from a new market opportunity. Launched just months after the earthquake, Haiti Hope is a public-private partnership among The Coca-Cola Company; the Multilateral Investment Fund, a member of the Inter-American Development Bank Group; the U.S. Agency for International Development; and TechnoServe as the implementing nonprofit. The project is also supported by the Clinton Bush Haiti Fund, the Soros Economic Development Fund and other international and local organizations. The project set the ambitious goal of doubling the mango incomes of 25,000 farmers over a five-year period. For decades, the Francique mango could be found mainly in East Coast markets, offering Haitian émigré communities in Boston, New York and Miami a taste of home through urban street vendors. In Haiti, mangoes were an inheritance, a few trees planted around the house by their mothers and fathers years before. For rural families, mangoes also provided critical income in the spring as they sought to buy seeds and labor to prepare their fields for the first planting of the year. Haiti Hope set out to modernize and grow the Haitian mango industry so that farmers would earn more income from their fruit. Haiti Hope set out to modernize and grow the Haitian mango industry so that farmers would earn more income from their fruit. During the journey from tree to vendor, more than 40 percent of mango production was lost due to quality problems. The industry struggled to access the much larger market of national grocery chains in the U.S. and further abroad. Whole Foods Market had recently begun selling small volumes of Haitian mangoes in their stores, but each year less than half the volume they requested was actually delivered. Even though only 10 percent of Haiti’s mangoes were being exported, the industry struggled to meet quality standards and supply larger volumes. While the industry seemed ripe for improvement, the project faced immense challenges at the outset. The first question, which Haitian exporters knew all too well, was, “How do we find and work with 25,000 individual farmers?” Only a small percentage of farmers had access to agricultural extension services. 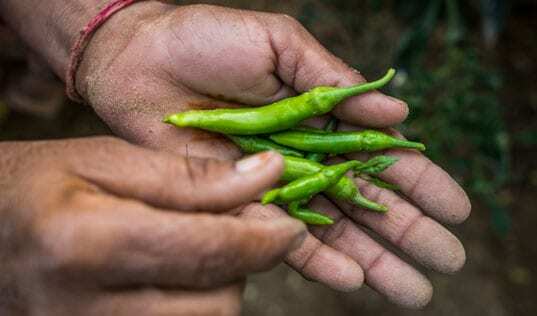 It took the project nearly three years to recruit 25,000 farmers, working as much through word of mouth as through local contacts and farmer organizations. 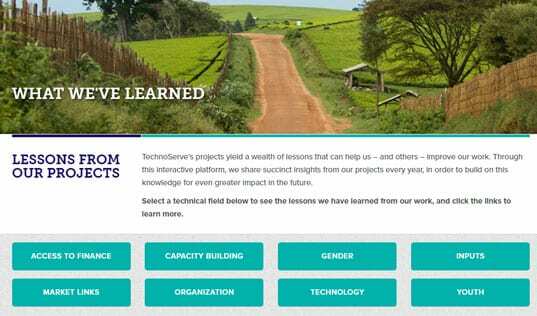 The project’s message of teaching farmers skills to improve their production was not totally new, but demonstrating it through hands-on, field-based learning was. Farmers who were skeptical at first soon began joining the project in droves. The next question was how to modernize an industry dominated by producers who grew mangoes only as a secondary crop (80 percent of farmers had fewer than five trees). These farmers often sold their entire mango crop to traders months before harvest at far less than market price. In turn the traders did most of the harvesting without input from the farmer. 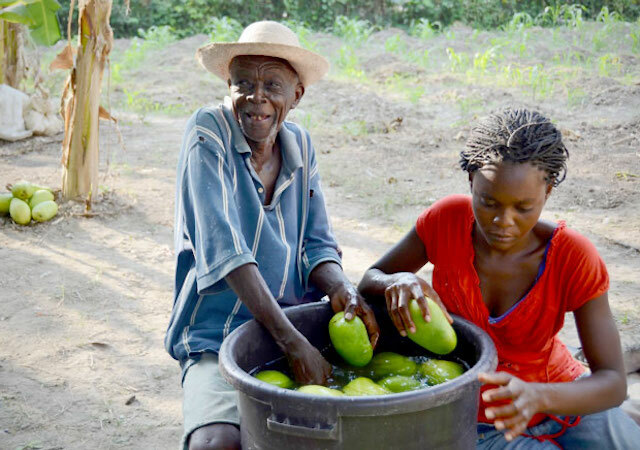 The farmers that waited until harvest faced different problems – there was no standard unit of sale, and farmers didn’t know when the mangoes were ready for harvest, putting them at a disadvantage when negotiating prices with experienced buyers. 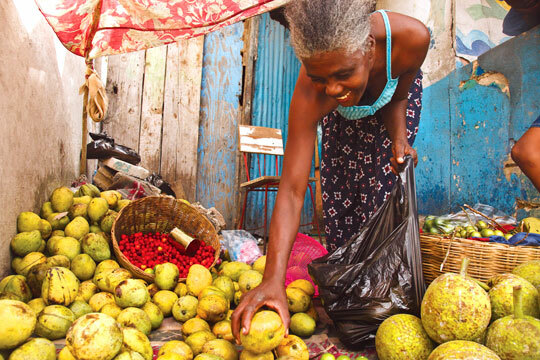 Haiti Hope is working to tackle many of these interrelated challenges – introducing modern production practices, increasing transparency in sales transactions, improving access to finance, facilitating marketing and transport, and professionalizing harvesting and other services led by traders. By coordinating with exporters and providing training for farmers, harvesters and traders, the project is sparking changes across the industry. Farmers now see their mango trees as a business, and traders are evolving into well-managed professional enterprises. Mango incomes are helping rural families afford healthy food and school fees. Production: 80 percent of farmers are performing basic tree maintenance, and 750 acres of new mango orchards have been planted. Organization: 80 percent of farmers are organized into 240 producer business groups and receive training and support from their fellow members. Transparency: More than 60 percent of farmers are selling based on a standard measure, the Haitian “dozen” (14 mangoes). The project piloted the first traceability system to reach individual farmers, providing receipts so farmers could track their sales. Sales: Producer group sales tripled from 2012 to 2013, and as a result Whole Foods received 150 percent of its minimum requested quantity for the first time.